Situated at the base of the Grand Mesa in the quaint mountain town of Cedaredge, Colo, 4B’s Brewery is a small family owned microbrewery. Tapping into their German heritage, the Breitnauer family, opened 4B’s Brewery in May 2015. Though our name may not be the most creative, our beers are far from boring. We currently brew Ales (IPA, Brown Ale, Pale Ale) and Lagers (Pilsner). At 4B’s Brewery we only use the finest ingredients, and pride ourselves in sourcing ingredients from local farmers in Delta County, as well as around Colorado. The result, is some of the best Western Slope Colorado craft beer one can find. We currently offer a small food menu, ice cream, our craft beers alongside other Colorado craft beers and local wines. 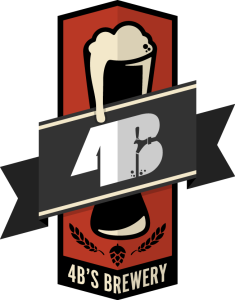 This list includes beers brewed currently, previously, or seasonally by 4B’s Brewery. Contact the brewery for current beer availability.